The 61st annual Turkey Bowl will once again pit the Mouse against the Hog Cabin on Thanksgiving morning. This year’s event begins with an early breakfast at the Hog Cabin, followed by the crowning of Turkey Bowl Queen Ashley Combs and her court, Paige Gander and Summer Hill, at 9:00 a.m. They will parade to the Boys & Girls Club field at 9:15. Kickoff is at 9:30 a.m. Thus year’s game is dedicated to the memory of Bernice Fairbert who died November 2. She is the sister of Turkey Bowl founders George and Vince Stankewitz. Postgame awards will be presented at the Mouse on Madison road. Hope to see some Pop House alumni there. 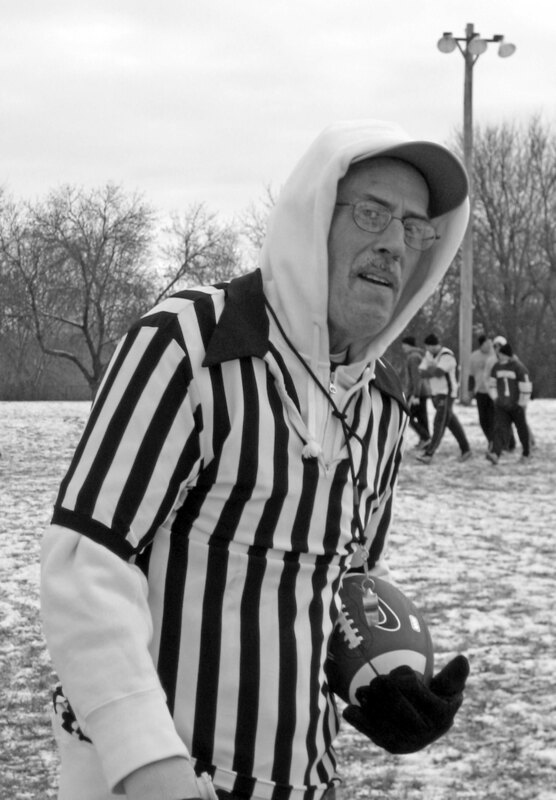 Art Case officiating at the 2007 Turkey Bowl game. Hog Cabin defeated the Mouse 22-2 that year. December 8th, 2008 at 6:55 am By the way, Randi Roehl (Tom’s daughter) was named Rookie Of The Year. She got in for one play. December 8th, 2008 at 11:45 am Thanks, Kevin. Also reported, MVP awards went to Brian Hosey on defense and Dyshawn Thomas on offense. 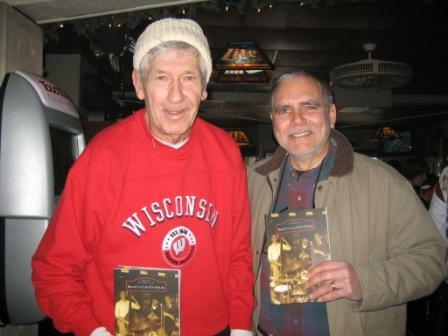 I had the pleasure of chatting with commissioner Vince Stankewitz and Delores at the Mouse after the game.